UNSG urges African approach to dealing with refugees - SABC News - Breaking news, special reports, world, business, sport coverage of all South African current events. Africa's news leader. United Nations secretary general Antonio Guteress, has asked Western nations to emulate Africa and open their borders to migrants and refugees. Guterres, who is in Ethiopia, held a meeting with AU Commission chairperson, Moussa Faki Mahamat, and pledged to support Africa’s peace efforts as one way of stemming displacements on the continent. He welcomed the South Sudan and Central African peace agreements, as well the restoration of relations between Eritrea and Ethiopia. The UN secretary general told a news conference that Western nations have a duty to help African nations shelter refugees. Guterres also pointed out that the world will need to pay more attention to climate change in order to stop the exodus of climate change migrants from the continent. 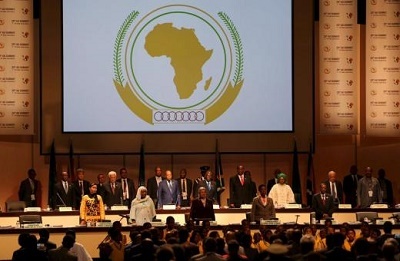 This month’s AU Summit will discuss ways of ending perennial displacements in Africa. Climate Change, economic distress as well conflicts have led to the influx of refugees. The 32nd Ordinary Session of African Union Heads of State and government will seek solutions on how best to stem the exodus from the continent. The continent has set itself a 2020 date to end conflict. Recent events all of them Africa-led have brought a flicker of hope that, silencing the guns is possible. And Guteress is firm in his belief that this will happen. The UN High Commissioner for Refugees — Fillipo Grandi — says responding to the refugees crisis will only be solved if the root causes of migration are tackled. On Sunday, African Heads of state and governments will deliberate on the refugee crisis as well reforms of the African Union and receive a report on the new design of the African passport — which is meant to ease movement across the borders. This entry was posted on 10 Feb 2019,02:04PM at 2:04 PM and is filed under Africa. You can follow any responses to this entry through the RSS 2.0 feed. Both comments and pings are currently closed.